The National Arts and Disability Strategy is being renewed. The Department of Communications and the Arts wants to hear about your experiences in the sector and how you think the participation of people with disability in the arts, screen and culture sector can be increased. 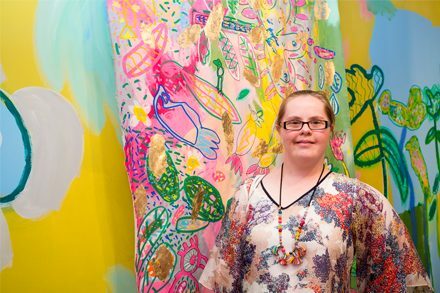 Anyone else who has ideas on how to improve access to and participation in creative and cultural activities by people with disability, including people with mental health conditions. It’s important to hear from Aboriginal and Torres Strait Islander people, people from culturally and linguistically diverse backgrounds, LGBTQI people, people from western Sydney, people from regional NSW, young people and older people. Submissions close Monday, 3 December 2018, 5pm (AEST). Anyone who wishes to submit their views can complete an online survey, provide a written, verbal or recorded submission or attend a face-to-face consultation meeting – dates and locations TBC. Or join us at one of our consultation meetings below. The meetings will be run by an independent facilitator, DiverseWerks. RSVP at rea@diversewerks.com.au or call 1800 555 029. You can let DiverseWerks know about any access requirements you have.